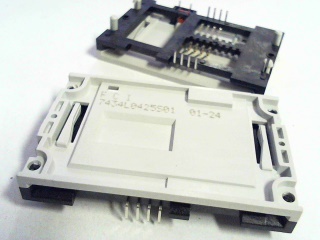 Smartcard contact element / connector 7434L0425S0 from FCI for PCB mounting. 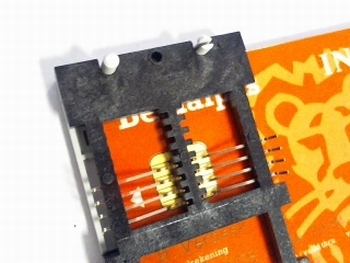 Suitable for standard smartcards like bankcards etc for reading chip on card. 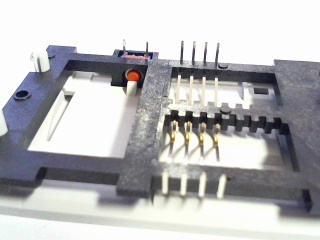 L04 Smart Card, 8 Pins, 9 mm Height, Normal Open. 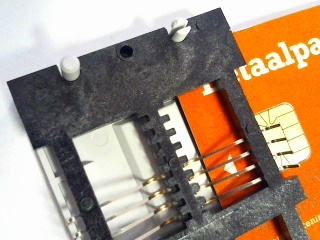 Electrical Current rating - 10 micro amps min., 1A max. Insertion force - 10N max. Withdrawal Force - 3N min.